Home / Social & Environmental / How Easy is it to Recycle in South Africa? How Easy is it to Recycle in South Africa? South Africa, like many other countries around the world, have a problem with waste. Our landfills are quickly filling up and even if they were not, this is still not a solution because it will take centuries for all that plastic to fully decompose. Less packaging and more recycling is the way to go, but in order to successfully recycle in South Africa, this may take a bit of extra, out-the-box planning. In other parts of the world, there are excellent recycling programmes in place. Citizens are encouraged and educated about packaging, recycling and being waste-free. In South Africa, recycling often involves taking a special trip somewhere to drop off your waste. If you are anything like me, you probably just dump all your rubbish in the council bin because you just do not have time to trek across town to drop off a bag of rubbish. And, there’s the added problem of storing the waste in the meantime, until you have a pile big enough to warrant that trip. I also find that the drop-off points are often in less than ideal areas and surrounded by litter and this further puts me off the whole concept. A few suburbs around the country have recycling programmes in place, with a home collection service, which is a fantastic start for South Africa. For the majority of us, we view these neighbouring suburbs with envy and continue to fill up our council bins each week. An internet search surprised me at the options that are in fact available in South Africa. If you don’t live in an area which has a recycling collection programme in place, there are many companies that will collect your recycling each week for a minimal charge. Yes, to have to pay for packaging (because there’s no other option) and then have to pay for someone to get rid of it, doesn’t bring joy to our pockets, but the environmental benefits are priceless. If you are looking for a service for your area, here is an excellent link. Vanessa, who lives in Cape Town, says that they try to recycle everything. Plant matter goes into their compost. Their recycling waste is taken to the Oasis Association, who also sell off bric-a-brac for charity. Anything that Oasis cannot accept goes to the Wynberg dump where they do have a municipal recycling service. Cindy, who until recently lived in the Southern Peninsula of Cape Town, often dropped off items at the Kommetjie Waste Drop-off site. This site accepts most standard recyclable items. Not only that, but any odd things you have lying around can be taken to the site, and stored for whoever wishes to take them. You may see items like old mattresses and bird baths awaiting a new home. Maimoonah, from Empangeni, tells me that she and her family separate their glass, tins, and paper. They then take it to their local Pick n’ Pay’s recycling boxes when they do their grocery shopping. (For more information on Pick n’ Pay’s recycling programme, click here). Joining a recycling programme does require that you be aware of the materials that your waste products are made from as all items have to be washed, flattened and checked before they can be sent for recycling. However, this is an excellent way for children to become involved in your home recycling programme. For example, have you noticed that on plastic items, there is usually a number in a triangle embossed on the underside? As soon as children know their numbers, they can look for those numbers and determine whether an item can be recycled by your local recycling plant, or not. For instance, the company that services the area in which we live, does not recycle Number 3, which is PVC. Recycling in South Africa is much easier, for many of us, than I first thought. I believe our biggest problem is a lack of knowledge. Most of us don’t know what is available in our area. Of course, many of the options listed above, will not help people living in poorer areas, as most options available to us involve spending money on either petrol or a collection service. However, many people earn a living by searching for recyclable items and selling them. Perhaps we should be working more closely with these people? One final thought: It was also a surprise to find out what all could be recycled. 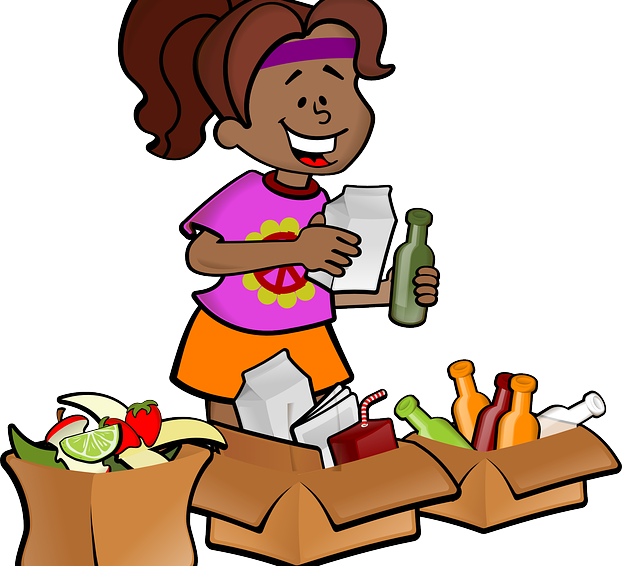 There are recycling plants that recycle things such as old cooking oil, electronic items, wood pallets, and even food waste. Do you have any tips to add? We’d love to hear your thoughts.